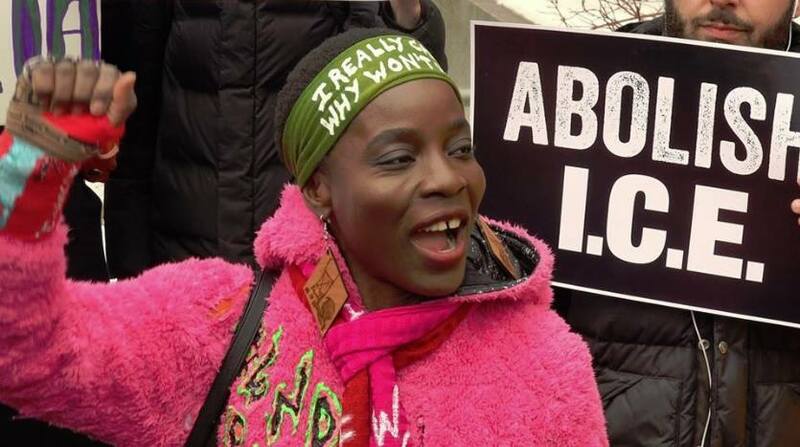 Ahead of Patricia Okoumou's March 19 sentencing, the full-time activist sat down with ESSENCE to open up about her pending trial and the crisis at the border. “Lady Liberty needs glasses.” At least Tupac Shakur thought so when he penned the words in 1991. But nearly three decades after his written prose was popularized, it appears that the woman who has come to represent freedom and democracy, still hasn’t made her way to Pen Optical for a fitting. Last summer, as the nation celebrated its 242nd Independence Day, children at the U.S. – Mexico border spent the holiday locked up in cages, crying out for the parents who were forced to leave them. “By the time I made my way up the pedestal, I started asking God, ‘Give me some more,’” Okoumou tells ESSENCE in an exclusive interview prior to Tuesday’s sentencing. The “more” Okoumou was looking for was a confirmation that what she was about to do was indeed ordained by the man above. She already had three reasons to make her way up Lady Liberty’s robe: there were children in cages, it was the Fourth of July, one of the biggest holidays the country observes, and the political movement she had developed an affinity for had purchased the ticket for her to be on Liberty Island that day. The last sign she needed was a path to the top. And once she received that, it was all systems go. Although the one-time undocumented immigrant did not make it to the top, she rests well knowing that she did make it as high as she could. More importantly, she got the world watching and listening to the inhumane way in which the country treats migrant children. In 2018 alone, the federal government reported that nearly 3,000 children were forcibly removed from a parent or guardian under the administration’s “zero tolerance” policy which prosecuted any adult entering the country illegally, and placed accompanying minors into shelters or foster care. But what that doesn’t take into account is the potential thousands more that entered the country in 2017 — a year when there was a reported influx in the number of illegal crossings. 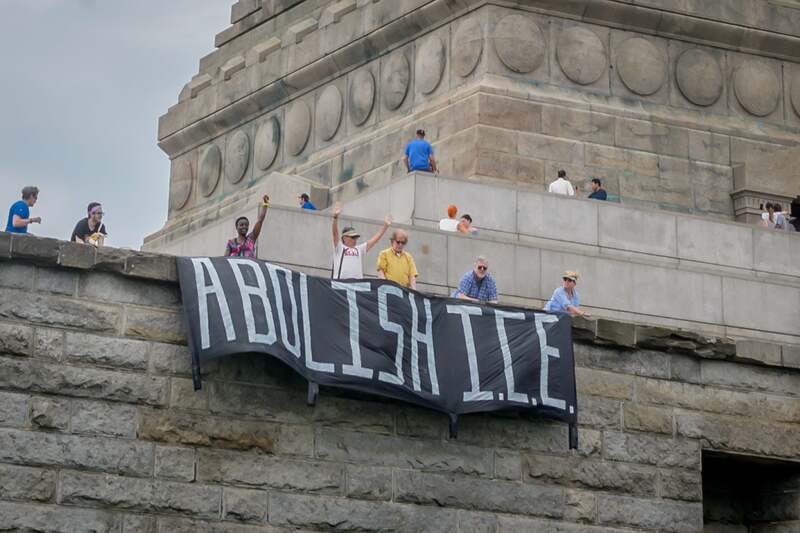 Since the July 4th demonstration that catapulted Okoumou into mainstream consciousness, the full-time activist has gone on to climb Paris’ Eiffel Tower in solidarity with asylum seekers, took over a Border Patrol Museum in San Antonio, Texas in February, and scaled the Southwest Key building in Austin, Texas to bring attention to the detained children housed there. Following her last act, Okoumou was given an ankle bracelet and confined to her Staten Island home by order of the court. Despite the judge’s opinion of her actions, the fierce defender of children and immigrants believes that she has done nothing wrong. Going into Tuesday’s sentencing, the domestic abuse survivor was left unclear about how things could potentially play out but was vocal about the possibility that she could face an unfairly rigid ruling when compared to others who have performed similar acts. “I’m probably going to be the first Black person to face a big sentence like this,” Okoumou laments. But even in the face of harsh punishment, the newly minted shero has no regrets.